Gloria Medel, a bilingual civil litigation attorney with an emphasis in construction litigation, insurance defense, insurance coverage and personal injury. Ms. Medel received her Bachelor’s degree from the University of Southern California in Public Administration in 1993. Thereafter, she attended and received her Juris Doctorate from the University of Colorado School of Law at Boulder in 1998 where she received a full Dean’s Scholarship. After obtaining her law degree, Ms. Medel practiced in Northern California in the area of insurance coverage representing various insurance carriers and public entities including the California Department of Veterans Affairs. Since 2001, Ms. Medel has been practicing in Southern California in the areas of Administrative Law, Insurance Coverage, Bad Faith, Defense and Litigation, Construction Defects, Civil Litigation and Torts. Ms. Medel has broad based experience in insurance matters including insurance coverage opinions and coverage litigation. 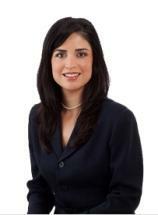 At Larson & Gaston, Ms. Medel focuses her efforts on all aspects of civil litigation. Ms. Medel also has experience representing vessel carriers before the California Public Utilities Commission. Ms. Medel is admitted to The State Bar of California and the United States District Court for the Central District of California and Northern District of California. Ms. Medel is a member of the Los Angeles Bar Association; Ms. Medel is on the board of directors for the Pasadena Bar Association; and a member of the National Hispanic Bar Association.